The Indianapolis Colts are sitting at first place in the AFC South, but you’d never know it after another embarrassing loss, this time a 27-21 one to the Saints which dropped them to 3-4 on the season. Afterwards, according to the Indy Star, Colts owner Jim Irsay and GM Ryan Grigson had an intense and heated conversation. 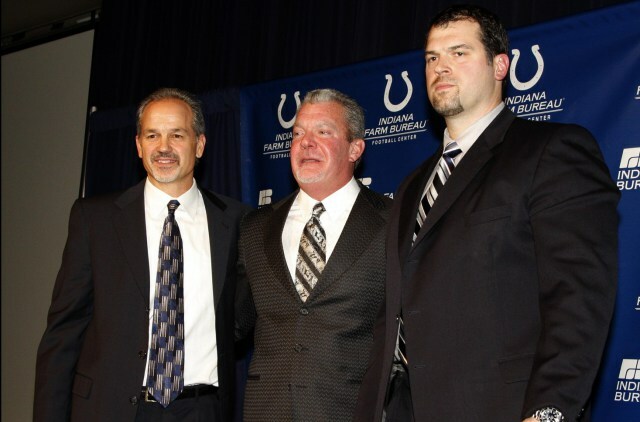 It’s what led to a heated conversation between owner Jim Irsay and General Manager Ryan Grigson in the locker room after the game. It’s what led to their desperate coach, Chuck Pagano — whose seat seems to be warming by the minute — giving an impassioned postgame speech to his players. It’s what has led to a Super Bowl contender being below .500 seven games into the season. The embattled Colts still have upcoming games against the undefeated Panthers and Broncos to focus on, while all the key figures battle to hold on to their jobs.